David Dunkelman joined the North Toronto Basketball Association as a parent coach in the 2006-2007 season. David had two daughters in the house league, Sarah and Rebecca. He coached NTBA house league for six seasons. One of David’s fondest memories came in the 2010-2011 season when he was co-coach of the Midget Juvenile Girls champions. David says his other special moment coaching came at the conclusion of the 2008-2009 season. His Girls Novice Team team finished in last place that year, but David was awarded the Stephen Cartwright Memorial Award. This award was presented to the Coach who best teaches excellent sportsmanship, team play, and passion for the game of basketball. David shares this incredible honour in his heart with all of the players he coached. David, his wife Susan, and daughters Sarah and Rebecca, still reside in North Toronto. David sells real estate for Royal Lepage Signature and is the author of the book, Your Guide to Toronto Neighbourhoods. He has also been active in the past in coaching public school basketball, tennis and baseball teams. David is currently on the Board of Directors at the North Toronto Community Tennis Club. He is a big Raptors fan and lists Demar Derozan as his favourite Raptor. Deciding to sponsor the NTBA seems like a slam dunk for someone with the last name of Dunkelman. David is proud to be a sponsor of the NTBA and wishes everyone another excellent season of basketball. Founded in the year 1999, Entripy Custom Clothing is Canada’s number one apparel company that sells over 2 million custom t-shirts a year. A wide and diverse collection of customizable products such as custom t-shirts, jackets, golf shirts & custom promo items are offered online. They are Canada’s leader for custom printed t-shirts. All work is done in-house with a guaranteed 5-day turnaround time & no hidden fees. 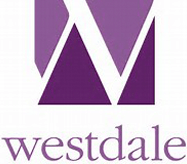 For over 60 years, Westdale Properties has owned, managed and developed real estate across Canada. They are committed to creating positive experiences for thousands of people who call their buildings home and for those who work and shop at their properties. With a core business in multifamily residential real estate, Westdale has expanded to include a portfolio of retail, office, and industrial properties. Calling all North Toronto Basketball Moms! Check out SWISH SISTER BASKETBALL – a recreational basketball program for women. Swish Sister gives women the chance to learn and refresh basic basketball skills, play some friendly scrimmages and get a great workout. Come get your game on and connect with awesome women in your community.